While a precise statistical breakdown is impossible to ascertain because of likely inaccuracies in the latest census (conducted in 1997), according to best estimates, 97 percent of the population of 22 million persons are Muslim. Shi'a Muslims--predominantly Arab, but also including Turkomen, Faili Kurds, and other groups--constitute a 60 to 65 percent majority. Sunni Muslims make up 32 to 37 percent of the population (approximately 18 to 20 percent are Sunni Kurds, 12 to 15 percent Sunni Arabs, and the remainder Sunni Turkomen). The remaining approximately 3 percent of the overall population consist of Christians (Assyrians, Chaldeans, Roman Catholics, and Armenians), Yazidis, Mandaeans, and a small number of Jews. The Sunni population of Iraq is predominately Hanafi, while the Shi'i population is predominantly Ja'fari. Kurdish Muslims are mostly of the Sunni branch, but mainly follow the Shafi'i school of Sunni Islam, which distinguishes them from the majority of the Iraqi Arab Sunni Muslim population, which is primarily of the Hanafi school of Sunni Islam. There is also a strong Sufi mystic following among the Kurds. Sufism contributes to a less orthodox practice of Islam among much of the Kurdish population. Islam came to the region with the victory of the Muslim armies under Caliph Umar over the Sassanians in A.D. 637 at the battle of Al Qadisiyah. The majority of inhabitants soon became Muslim, including the Kurds, although small communities of Christians and Jews remained intact in the area of present-day Iraq. Iraq has been the scene of many important events in the early history of Islam, including the schism over the rightful successor to the Prophet Muhammad. Shi'a, although predominantly located in the south, also are a majority in Baghdad and have communities in most parts of the country. Sunnis form the majority in the center of the country and in the north. Shi'a and Sunni Arabs are not ethnically distinct. From the mid-16th century to 1916, the Ottoman Empire ruled three disparate provinces-Basra, Baghdad, and Mosul-that comprise modern-day Iraq. 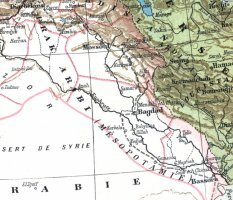 To counter the influence of the Shia Safavid Empire in Iran, the Ottomans maintained Iraq as a Sunni-controlled state and largely had excluded from power Iraq's Shia and Kurdish populations. The Ottoman Empire organized society around the concept of the millet, or autonomous religious community. The non-Muslim "People of the Book" (Christians and Jews) owed taxes to the government; in return they were permitted to govern themselves according to their own religious law in matters that did not concern Muslims. The religious communities were thus able to preserve a large measure of identity and autonomy. 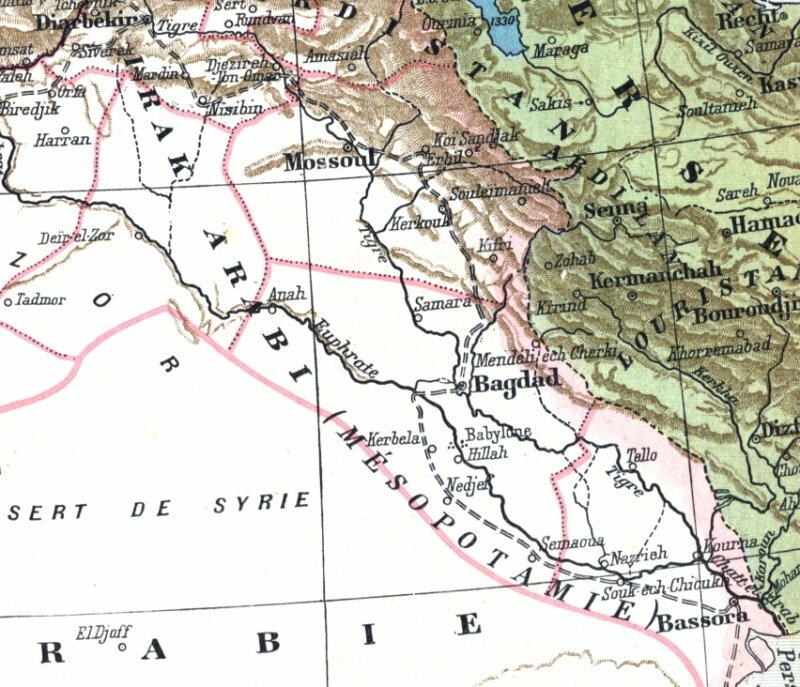 The British and the British-backed Iraqi monarchy continued the Ottoman policy of supporting the ruling Sunni Arab minority from the towns, villages, and tribes of Iraq's central region. The Sunni leadership attempted to overcome Shia dissatisfaction by promoting a pan-Arab identity for Iraqis, arguing that Arab culture and the history of the Arabs transcended religious and communal ties. Shia, wary of being outnumbered by Sunnis in an Arab confederation, regarded the Iraqi monarchy's pan-Arab ideology with suspicion. The Kurds, as non-Arabs with their own nationalist aspirations, rejected the monarchy's pan-Arabism. The Iraqi monarchy tried to integrate the various fragments of Iraqi society though military conscription and national education. These integrationist policies achieved some modest success during the last two decades of the monarchy, but the Sunnis remained dominant. Shia penetration into the highest echelons of government and military was almost non-existent, and the vast majority of Iraq's poor continued to be Shia. Kurdish representation in both the government and the military was proportionately more substantial than that of Shia. The decade of republican rule following the 1958 coup that toppled the monarchy brought mixed results for both the Shia and the Kurds. Economically, Shia fared better than they had under the monarchy. Religiously, relations between the secular ruling Sunni regimes and the Shia remained tense. The radically pan-Arab ideology of the regime excluded the Kurds. Following an initial improvement in relations, a pattern of negotiations over Kurdish autonomy followed by armed clashes developed. Shi'a Arabs have supported an independent Iraq alongside their Sunni brethren since the 1920 Revolt; many Shi'a joined the Ba'ath Party and Shi'a formed the backbone of the Iraqi Army in the 1980-88 Iran-Iraq War. Although Shi'a Arabs are the largest religious group, Sunni Arabs traditionally have dominated economic and political life. Sunni Arabs are at a distinct advantage in all areas of secular life, be it civil, political, military, or economic. Although members of the ruling Baath Party generally were ideologically committed to secularism, about 95 percent of Iraqis are Muslim and Islam was the officially recognized state religion. Saddam's Government for decades conducted a brutal campaign of killing, summary execution, and protracted arbitrary arrest against the religious leaders and followers of the majority Shi'a Muslim population and has sought to undermine the identity of minority Christian (Assyrian and Chaldean) and Yazidi groups. Sunni-Shia tensions peaked following the 1979 Islamic Revolution in Iran and during the Iran-Iraq War (1980-1988). Tens of thousands of Shia were arrested and deported during this period. In the Kurdish region, the pattern of negotiation followed by fighting continued. During this period, the regime also tried to enhance its legitimacy and rally support for the war effort by promoting a specifically Iraqi (rather than Arab) identity. This effort included emphasizing Iraq's ancient history and Mesopotamian cultural identity. Politically, the new trend took the form of increased representation in government for both Shia and Kurds. This strategy of combining repression with co-optation, along with the war effort, accelerated the integration of Iraqi society and prodcued a sense of common identity (excepting, for the most part, the Kurds). During the war with Shia Iran, Iraqi Shia did not revolt and mass defections to Iran did not materialize.